In the Hindu religion lighting of lamps has a very special spiritual significance. The wick in the lamp represents ego, which is not good for our progress in life. The oil in the lamp nourishes the wick, meaning ego keeps growing unchecked. The flame in the lamp represents spiritual wisdom that knows what is right and what is wrong. This discretionary power sets the ego afire, thus by controlling and burning out ego (wick) and basal behaviour (oil). So, it is quite pertinent that lighting of lamps dispels darkness by spreading light all around, driving away negative elements. In a way it is symbolic of the victory of the good over the evil. The tradition has been that the lighting of lamps at temples and houses on the day of Karthikai Deepam, is believed to usher in prosperity, welfare and good productivity in the ensuing year. Besides, lighting of lamps enhances the sanctity of our place and, at the same time, it wards off evil forces and negativity around us. 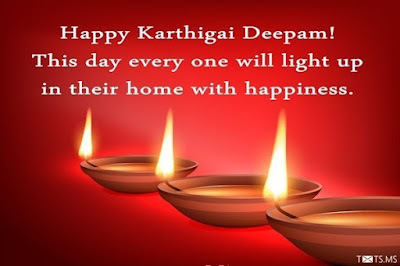 Karthigai Deepam festival, annually held in Tamil month Kartika, is more than 3000 years old and is mentioned in the early Tamil scriptures. This year Tiruvannamalai Karthigai Maha Deepam (Bharani Deepam) was held on the evening of November 23, 2018. and after that great event, Hindu temples and houses across the whole of Tamil Nadu lit the oil lamps in their respective places. People, normally, light lamps outside their home. The common features in many places temples, homes and streets are the decorated traditional oil lamps (preferably earthen lamps called Agal Vilakku in local language). On that auspicious day in the evening special pujas and prayers are held in temples. Karthigai Deepam is also observed as Bharani Deepam and Vishnu Deepam across Tamil Nadu among Shaivites and Vaishnavites. Lighting of Bharani Deepam by the temple priests is an important ritual on the Karthigai Deepam day at Thiruvannamalai temple and it marks the beginning of Karthikai deepam festival; it is lit far before Maha Deepam atop the Arunachala Hills. 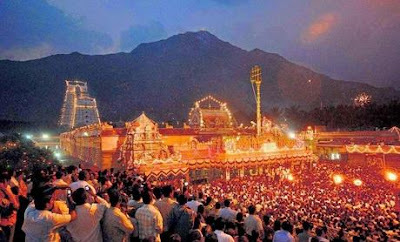 The flame is taken from Bharani Deepam at the temple all the way to the Arunachala Hills to light the Maha Deepam. As the name suggests, the day falls on the Bharani Nakshatra star in the Tamil Karthigai month. The deepam goes by various names: Vishnu Deepam, Vaikhanasa Deepam, Pancharatra Deepam, Chokka Panai and Yanai Pandigai. The Maha Deepam symbolises Lord Shiva, who appeared in the form of a pillar of fire before Brahma and Vishnu with no end and beginning - ''Athiyum ellai anthamum ellai''. God Muruga (Subramanium or Karthic)'s star is Karthikai and the belief in Tamil nadu is God Muruga's birth day is associated with this auspicious day. Consequently, the devotees of Muruga throng the Murugan temples for his darshan and blessings. According to the Hindu mythology, God Muruga in his early childhood was taken care of by Karthigai Kannis (virgins) at the request of Goddess Parvati, consort of Lord Shiva. Later these kannikas attained the divine status of nakshatra (star called Karthikai nakshatram). It was Lord Muruga, as he grew up, is believed to have taught the real meaning of the Pranava mantaram - “OM” to his father, Lord Shiva. Therefore, Lord Muruga acted as a Guru and enlightened Lord Shiva. Yet another legend has it that the victory of Goddess Parvati over the demon Mahishasura is also celebrated by lighting lamps on the day of Deepam. Hence this festival symbolizes the victory of the good over the evil forces. The day is also highly auspicious for Lord Muruga's devotees as he was taken care of by the six Karthikas (stars) and the celebrations on Karthigai day commemorate his divine birth. In popular Tamil belief, Karthigai Nakshatra is the birthday of Murugan. 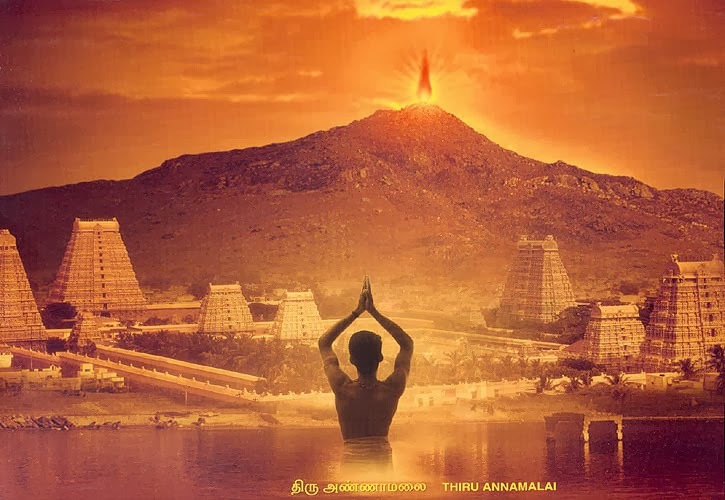 The temple town of Tiruvannamalai, comes alive during the festival days and on the day of Karthigai Deepam, a giant oil lamp is lit on the Arunachala Hill behind the huge Tiruvannamalai temple. More than a million people visit this town during the festival days that commence well far before Karthikai Deepam. Rows of lamps are lit on the hill. It is a ten-day festival and each day the procession deity (Utshava murthi) in different alangaram will be taken out on a particular mount each day around the Car (ratha street) streets. 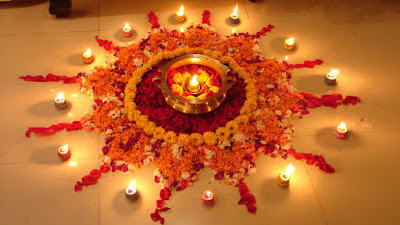 This festival culminates in Karthikai Deepam. The lighted lamp is an auspicious symbol and it is believed to usher in prosperity and joy. 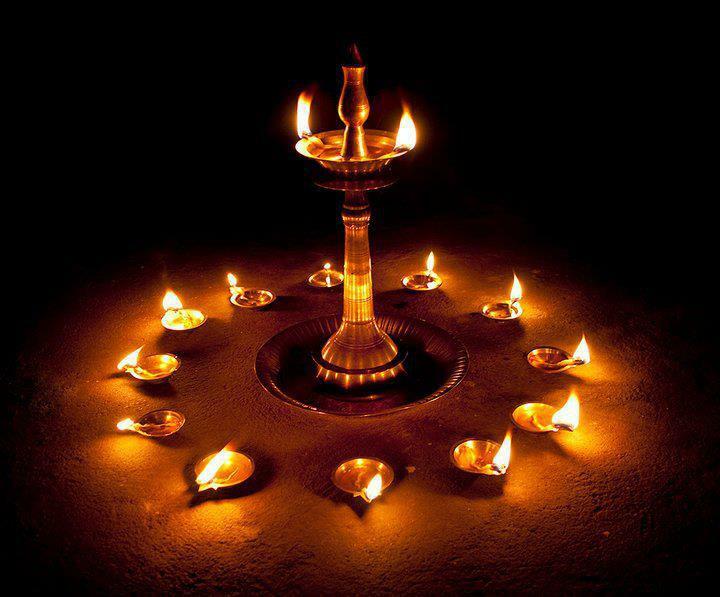 Bharani Deepam consists of flame from five different lamps symbolic of Pancha bootha - (five essential elements) earth, air, fire, water and ether. 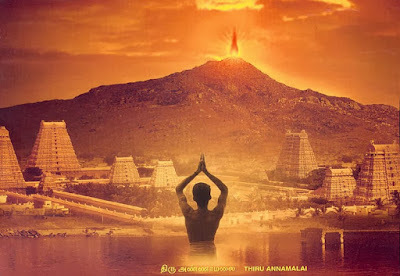 How Maha Deepam is lit atop the 2668 feet tall Arunachala hill which is 7 km from the temple is an interesting one. The giant cauldron 10 feet tall and 5 ft in diameter is carried to the top of the hill by a group of people called Nattar designated by the temple administration. They come from fishermen community. The cauldron can take in few thousand kilos of ghee and the specially prepared wick made of special cloth measure about 300 meters. The first day is called Appa Karthigai, the second Vadai Karthigai and the final day is called Thiru Karthigai.